Gin, whisky and beer. 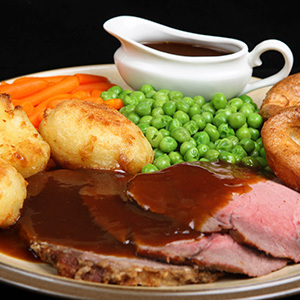 Prime beef, lamb and pork. Jam, biscuits, crisps and shortcake. 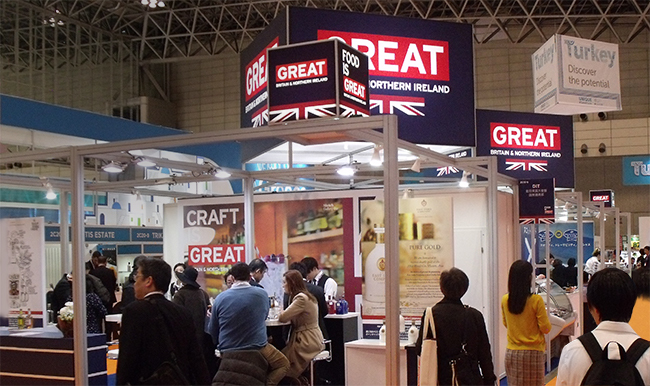 Some of the finest examples of Britain’s contribution to global cuisine were once again on display at the annual Foodex Japan trade show, with firms seemingly more optimistic about their chances of getting a foot in the door of the Japanese market than in previous years. 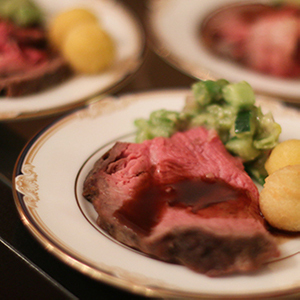 “It really is a delight to be back in Japan and to be bringing British beef and lamb back here,” said Tom Gibson, head of market development for Quality Meat Scotland. “I’ve been speaking with a lot of buyers and importers so far this week, and there is a lot of interest in bringing our high-quality products into Japan. “All our meat products are now Red Tractor-certified, meaning that they are traceable, safe and have been farmed with care,” he said. “Red Tractor is the world’s leading farm and food assurance scheme, and we are delighted to be able to invite Japanese consumers to taste British beef and lamb”. 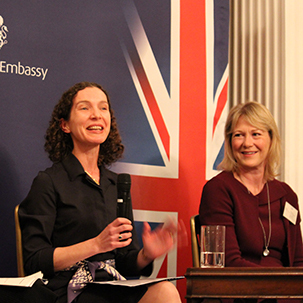 Susan Stewart, senior export manager for the Agriculture and Horticulture Development Board, agreed that the potential offered to UK firms by the Japanese market is huge. She added that famed Buckinghamshire Chef Chris Wheeler’s presence at the largest food trade show in Asia is critical to the future success of UK firms in Japan. 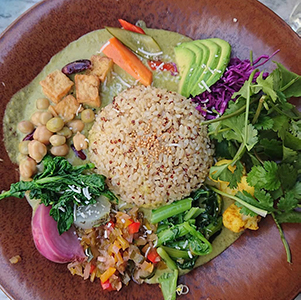 “Something as simple as getting a buyer or importer to taste food that Chris has prepared during the show can be enough to convince them that it can work here,” she told ACUMEN. “We have got over the issues we had in the UK in the past, and we are now getting all the systems in place to start bringing beef and lamb back here”. Michael Morris, Hinch Distillery Co. 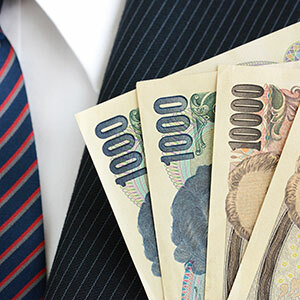 If some sectors were using the event as a spring­board back to Japan, others were using it as a showcase to access a promising new market—and they were reporting positive reactions from potential clients and partners. 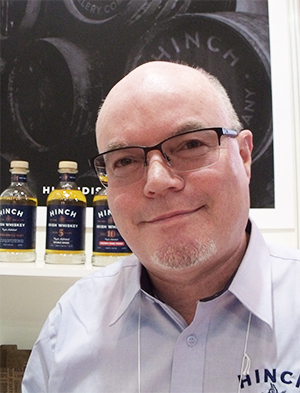 “The response has been absolutely superb,” said Michael Morris, director of international sales for the County Down-based Hinch Distillery Co. “We have high ambitions for the brand here in Japan, and I would say that we now have found three very good possibilities for a distributor in the past two days. I go to a lot of shows around the world, but this one has been the best I’ve attended because of the level of the people that I’ve been able to meet. “I’ve also been very pleased to find that there are people here from other parts of Asia—and even further afield. 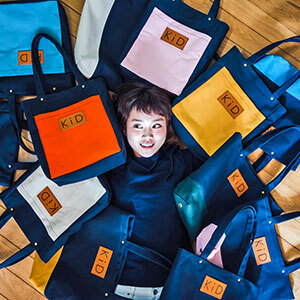 Yesterday, we were able to sign up a distributor for Australia and also New Zealand, as a bonus”. In the hills overlooking Lough Henney, just south of Belfast, the Hinch Distillery produces five varieties of Irish whiskey. Lighter and smoother than most whiskies, these were attracting a lot of attention at Foodex. “Irish whiskey has been the fastest-growing spirit sector in the world over the past five years, thanks to the interest in its lighter style,” Morris said, adding that the triple distilling process knocks off the harsher edges that are still common on Scotch. And that is resonating with the consumer base. Irish whiskey is no longer seen as “your grandad’s drink,” he said, and is often the tipple of choice of 25-to-35-year-olds. As a consequence, the number of distilleries across Northern Ireland has grown rapidly. As recently as five years ago, there were only four. Today there are 22, and a further 18 planned. “The Japanese are clearly sophisticated whiskey drinkers, and they have a history of making their own excellent whiskies. But every­one who has tried ours really appreciates it,” he said. Assuming that one of the leads on a potential distributor pans out, Morris said that the first shipments could be arriving in as few as 10 weeks. “We obviously have to do our due diligence—and I have already organised for samples to be sent to the distributors that I have met—but if it all goes well then we could be looking at shipping between 5,000 and 10,000 cases a year to Japan. That’s not an unrealistic figure at all”. 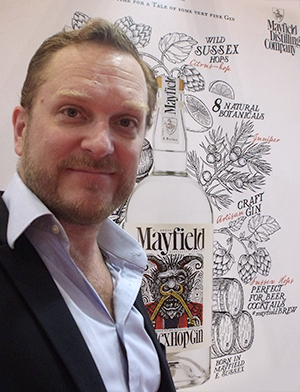 Ian Ford, Mayfield Distilling Co.
Ian Ford, representing the Mayfield Distilling Co., believes that Japan is also at the start of the gin boom that has already swept much of the world. “The primary botanical is juniper, of course, but the secondary is Sussex hops, and no-one else in the world is doing that,” he said. “The firm also insists on distilling and infusing each of the botani­cals individually, so that all the flavour can be extracted. Only then are they blended together”. Japanese distributors have also been intrigued by the devil on the brand’s label, which is the result of the legend of St Dunstan, who was once arch­bishop of Canterbury. According to the tale, Dunstan—at the time the village blacksmith—was working in his forge when he was visited by the devil, who was disguised as a beauti­ful young woman intent on leading him astray. When he saw the devil’s cloven hooves beneath the woman’s dress, he realised the danger, seized the devil’s nose with his red-hot pincers, and cast him out of the village. While this tale has not yet spread as far as Japan, one can see its fantastical appeal in a culture that loves stories. “We are on the front edge of the boom in gin in Japan and the Far East as the awareness starts to percolate through,” said Ford. “It is being led by the younger generation of rock-star bartenders in the industry, who are just supercharging the interest in the drink”. Britain still supplies about 80 percent of the gin sold in Asia, but Ford is confident that there is room in the market for premium gin. Mayfield has strong credibility as a really good gin, Ford said, but with the unique component of Sussex hops and the backstory, he believes it will take off in Japan as soon as they have an importer lined up. He has met a number of potential partners for the Japanese market, and the firm is weighing up whether to go with a smaller, relatively new start-up with a real passion for the product or a larger organisa­tion. The latter might have a broader reach, but may also have a larger number of brands to promote. 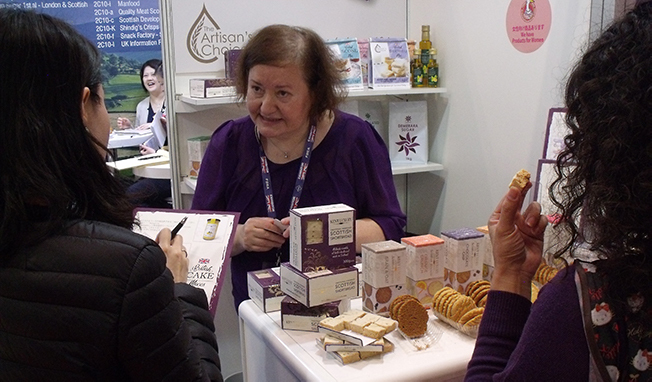 Nearby on the UK Pavilion, the samples of premium biscuits and shortbreads laid out by Tulay Arslan-Manoussos, exports sales executive for Kent Foods Ltd., were proving popular with passers-by. “It has been very exciting,” she said. “I’m really pleased—and quite surprised—at how much attention we have been getting”. 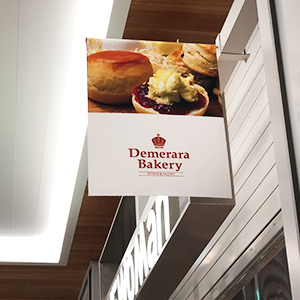 The short­bread was, perhaps unsurprisingly, getting a lot of attention—although potential customers were also interested in biscuits with ginger and orange flavours. Based in Paisley, Scotland, Kent Foods was taking part in Foodex for the first time and was looking to identify a distributor for the Japanese market. “People who try the biscuits and shortbreads love the quality,” Arslan-Manoussos said. “The fact that all our ingredients are from the UK—[together with] the packaging—I think we should be able to go back and start to narrow down the distributors who we think we can work with”. 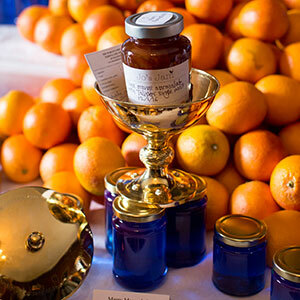 Ideally, that partner will have a proven path into high-end super­markets, hotels, cafés and wholesalers, she added. “We have done our research before I came out to Japan. We know that Japan has an ageing population and that they are very health-conscious consumers who like pure or organic products,” she said. “So, we feel that we would be a good fit here”. 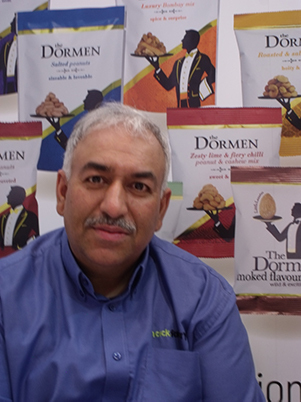 Tulay Arslan-Manoussos, Kent Foods, Ltd.
Khalid Parvez, Snack Factory Ltd.
Khalid Parvez of Snack Factory Ltd., which is based in the central England city of Wolver­hampton, agreed that his firm’s healthy snacks had received “a fantastic response”. “They love the tastes, but particularly the lighter savoury and cheesy flavours, and those with chilli, lemons or lime,” he said. As well as identifying a potential distribution partner, high on Parvez’s list of priorities in Japan was to determine precisely the products that meet the needs of the local market. With a new £3.5 million plant in the West Midlands already producing snacks in the premium gourmet sector, the firm is actively looking to expand, and under­standing the target is key. “The potential of Japan is not completely clear yet, but my sense is that we are getting closer to understanding local eating habits and that we could do very well here”.